The PERI Job Fair 2017 was conducted 18th MARCH 2017. 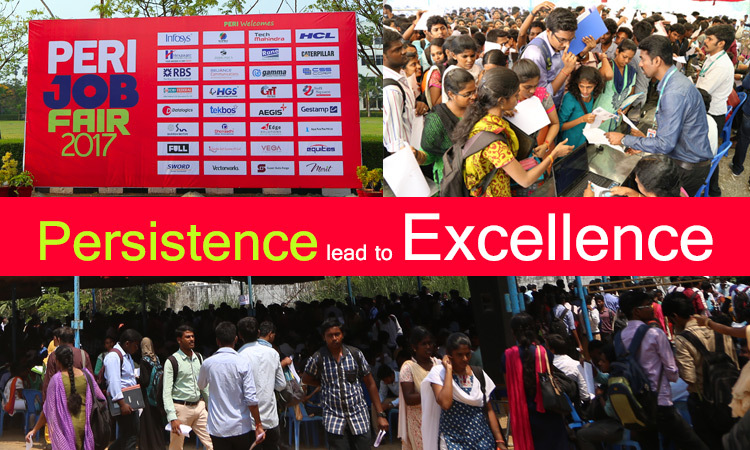 More than 12,450 participants from all over India convened at the PERI campus to meet companies from diverse fields. 12,450 candidates competed for 2,000+ jobs openings and over 2000 students were offered a job on the spot with many more shortlisted for another round of interview. The fair was open to all 2015, 2016, and 2017 graduates. The candidates were from varied disciplines including engineering, management, arts, science and life sciences and diploma. Entry as always was free for all candidates. The fair was inaugurated at 10.00 AM by our Chief Guest Mr. John Devadason, Plant Head - APOLLO TYRES and Guest of Honour Mr. S. Prasad, Director - TVS Group Companies. 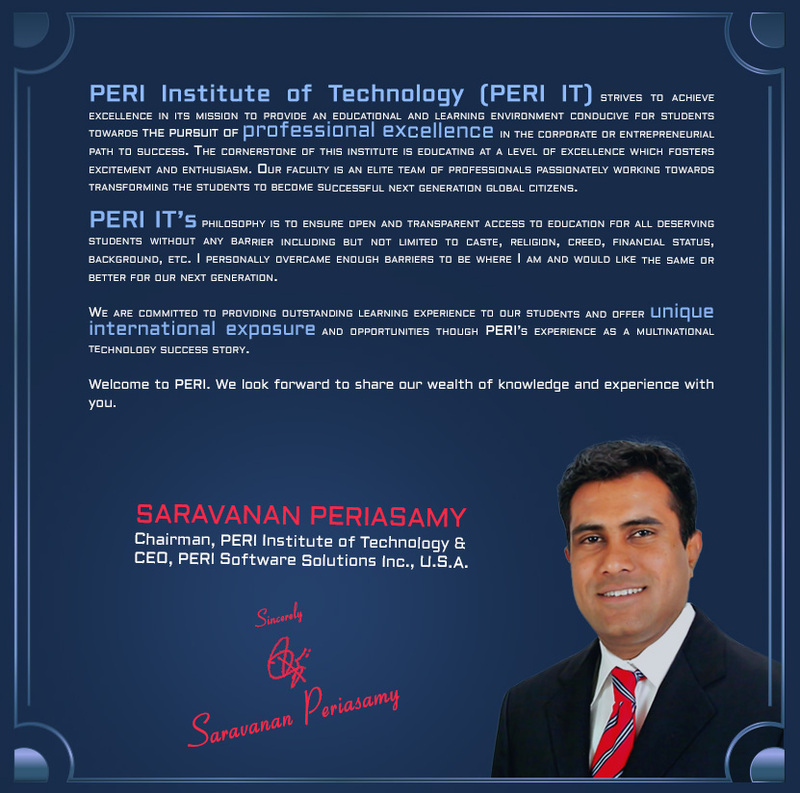 PERI IT’s Chairman, Mr. Saravanan Periasamy, PERI IT’s COO Mr. Sasikumar, PERI IT’s Principal, Mr Palson Kennedy and representatives of the attending companies, media and PERI’s staff and students.